I always find that I'm in more of a mood to eat breakfast as the weather starts to warm up. Here in Melbourne, we are slowly but surely approaching some much nicer Spring/ Summer weather, which has definitely gotten me in the mood to get back into the kitchen and get creative. I absolutely love breakfast, (more specifically brunch) but some days I can't be arsed coming up with new ideas of what to eat and it can be somewhat draining to think of a breakfast that makes you excited to start your day. 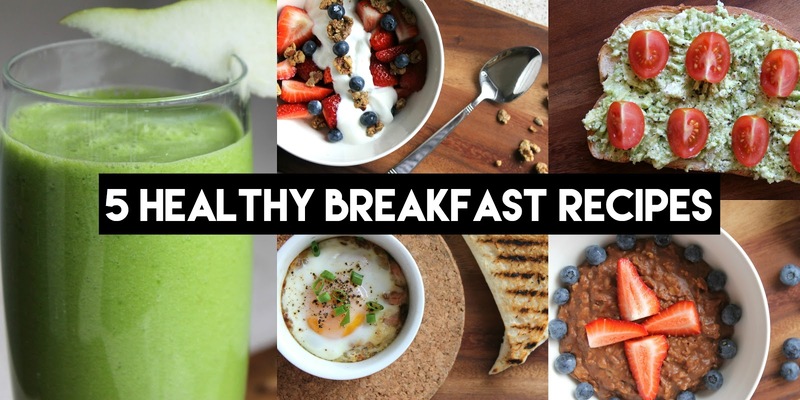 So I've decided to put a twist on a few oldies; here are my 5 Healthy Breakfast Ideas to help kickstart your morning! Yep, literally just smash together avocado with a few chunks of feta cheese. Spread out on your toast and top with cracked pepper and cherry tomatoes. 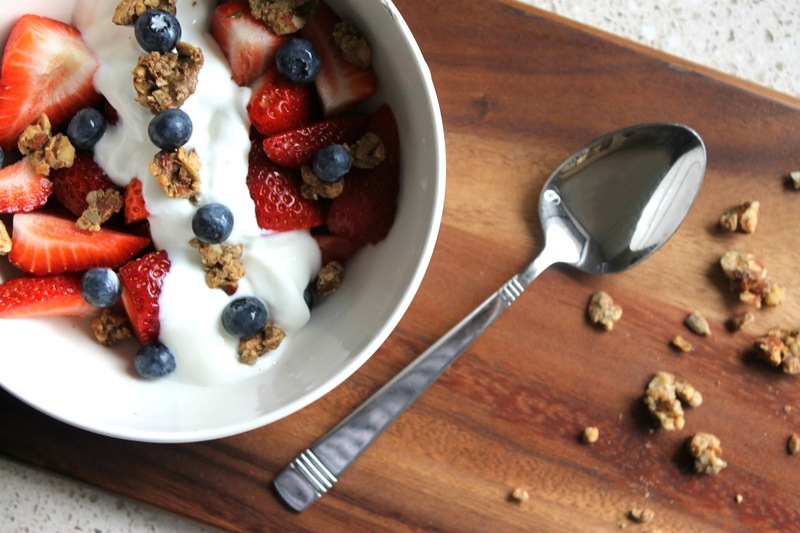 Put a spin on your usual fruit and yoghurt breakfast by sprinkling some granola over the top. This is actually my own recipe using only nuts, egg whites and spices. Let me know if you want the full recipe, I might write a blog post on it! There's nothing better than a steaming bowl full of porridge, but what makes this breakfast recipe even better is the addition of a tablespoon of raw cacao and half a banana. Top with blueberries and raspberries for those extra antioxidants. A spin on the classic egg and bacon breakfast, this turns out to be much tastier...if you can stand a 15 minute wait! Best cooked on a lazy Saturday morning; sauté your onions, bacon and veggies in a pan then transfer into single serve ramekins. Crack an egg on top, season and bake in the oven at 180C until the white of the egg has set but the yolk remains runny. Serve with a side of toast. What are some of your favourite 'go-to' breakfast meals when you are stuck for new ideas? Do you like to get creative in the kitchen and 'spice-up' those tired breakfast recipes? I would love to see you re-create these breakfast ideas, if you do, please let me know and tag me in your photos on Instagram. I am a sucker for #foodporn! Mmm...Overnight Oats are so deelish- I might make some for tomorrow! Haha Oh, Mini you're so funny! It's definitely my new favourite way to eat my porridge! I should try some of them! I am so um creative with my food! Let me know how you go with it Dora! Love the avocado on toast - I had some of that as well this morning. Avocado and toast is my absolute favourite! All of these look so good and yum! I'm so obsessed of healthy lifestyle, so thank you to give me those ideas! Thanks hun! No worries, hope you get the chance to try them out!